They�re cute, furry, and they�re one of the most popular pets in the world. 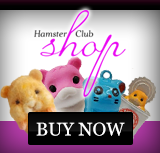 We�ve all come across hamsters at one point or another � whether it�s as a pet or while browsing the local pet store. While they only live a few years at a time, they provide endless amounts of entertainment, and can teach kids the value of responsibility and being kind to animals in general. 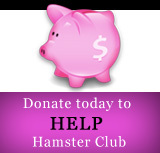 Just like real money pokies, hamsters come in all shapes and sizes, and if you�ve fallen in love with your hamster and considered breeding them with another, it can take a bit of work and effort, and enough patience to deal with their constant hamster shenanigans. If you do decide to breed, or if you find a hamster at the pet shop, you may want to know it�s age. This can be important: you might not want to buy a hamster that�s too old, or you might also not want to take a hamster that�s too young and isn�t ready to be taken from its family. Whatever the case, this is how to tell the age of a hamster. Always hairless and pink, and its eyes and ears are closed. In the case of the Syrian breed, for example, the ears open within the first 5 days, but it can take up to 15 days before the yes open. Generally, if the eyes are still closed, then you know the hamster is less than two weeks old. The fur starts to become visible after about 7, and it�s a good way to tell if the hamster is older than a week. Hamsters start to eat solid food somewhere between a week and 10 days old. They are weaned after a few weeks, usually 3 to 4, depending on the breed. After about 3 weeks from being born, you will notice that the babies will start to look like their parents. Puberty for a hamster comes between 6 and 8 weeks old for some breeds like the Syrian. In the case of the dwarf and Chinese, puberty comes later at 8 to 12 weeks. Syrians will begin breeding once they�ve reached 10 weeks of age for the females, and 12 weeks for the males. Dwarf hamsters on the other hand will begin breeding much earlier, but only reach full maturity much later than the Syrians. Once they�ve reached a certain age, which is about 50 days, Syrian hamsters will need to be separated from other hamsters, as this is when they will begin to fight due to the proximity. 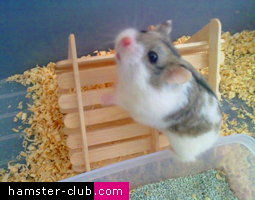 If your hamsters are fighting, then you know they�ve reached full maturity and need to be taken off on their own. The best way to tell if a hamster is an adult, or on the verge of wanting to retire is by doing measurements in lengths from the nose to tail. For a Syrian, an adult�s length will be between 4 and 7 inches. If they are this length, then you know the hamster is about 4 to 6 months old, which is full adulthood. Russians and dwarf hamsters both average around 3 to 4 inches, and in this case, you will need to weight them to know which is which. The Roborovski is the smallest breed available, and will only ever reach about 2 inches maximum in length.